Pacific Northwest private detective's illustration of his 2005 encounter with a praying mantis creature. Praying Mantis (Mantis religiosa). Image © by Frank L. Hoffman. Chinese praying mantis image © by Nelson Kruschandl. 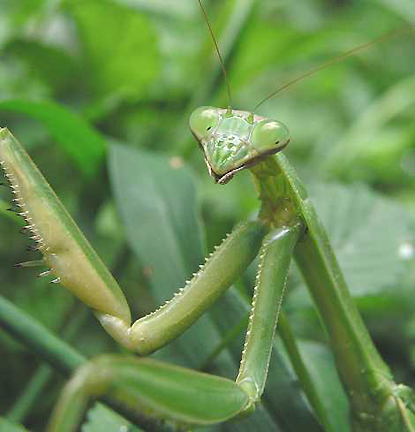 The praying mantis’s “arms” are lined with sharp spikes for stabbing and grabbing. 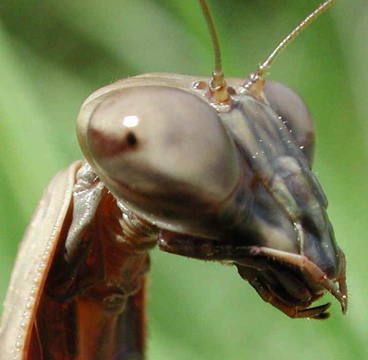 Mantis forelegs can strike and retract in half the time a human can blink. While they usually prey on insects and spiders, their speed is so great that they will take down animals three times their size such as lizards, chameleons, frogs, fish, small mammals, and even birds and hummingbirds that come too close. 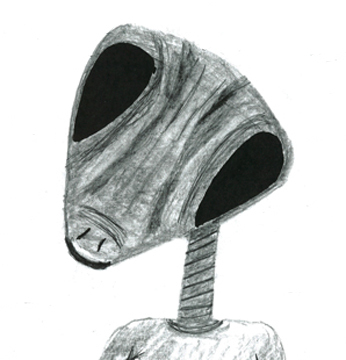 January 17, 2011 Pacific Northwest - Joshua Rhinehall continues from Part 1 his descriptions of extraordinary encounters with non-humans that began for him at age 4 and have persisted to the current day, now age 46.